The Toronto Stock Exchange closed higher again Tuesday as the world’s markets stayed positive of a Greek debt deal and digested economic data. The European situation does not have a direct influence on Canadian stocks but the general sentiment around the world helped almost all of the main sectors of the TSX rise. Most of the major indexes in Asia and Europe closed with gains and Wall Street was further buoyed by moderate signs of growth. 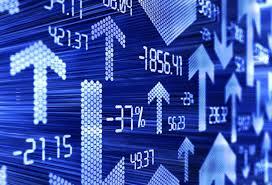 The Nasdaq closed with a record high, up 6.12 (0.12 per cent) to 5160.10. Blackberry’s struggle to return to glory continues as the Ontario firm posted its results for the first quarter of 2015 Tuesday. Analysts surveyed by Reuters were expecting a loss of 3 cents per share but Blackberry’s loss was 5 cents per share to an adjusted figure of US$28 million. The $658 million of revenue was also short of expectations by more than $20 million. TransCanada has cut 185 jobs across North America in its major projects department. Global News reports that 100 full-time jobs are among those to go. The company is restructuring the department amid plans to continue its $46 billion capital growth plan. Meanwhile social media reports of job losses at Cenovus have been denied by the firm as “completely false”. An annual league table of Canada’s most trusted brands has revealed that Tim Hortons, President’s Choice and Shoppers Drugs Mart are the top three. The report by the Peter B. Gustavson School of Business at the University of Victoria ranked them above global brands including Google, Heinz and Johnson & Johnson. Canada Tire and Canada Post were also in the top 10 along with Kraft and Campbell Soup.